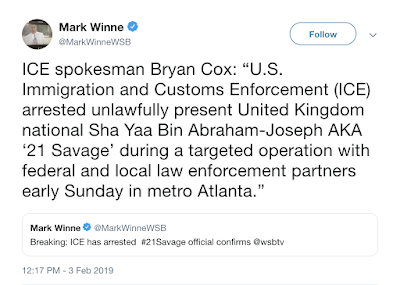 U.S. Immigration and Customs Enforcement agents took Sha Yaa Bin Abraham-Joseph, better known as rapper 21 Savage, into custody early Sunday morning in Atlanta after a “targeted operation with federal and local law enforcement partners.” Though he is often touted as a local Atlanta rapper, ICE officials say he is actually “a United Kingdom national” and has overstayed his visa. Mr. Abraham-Joseph initially entered the U.S. legally in July 2005, but subsequently failed to depart under the terms of his nonimmigrant visa and he became unlawfully present in the U.S. when his visa expired in July 2006. 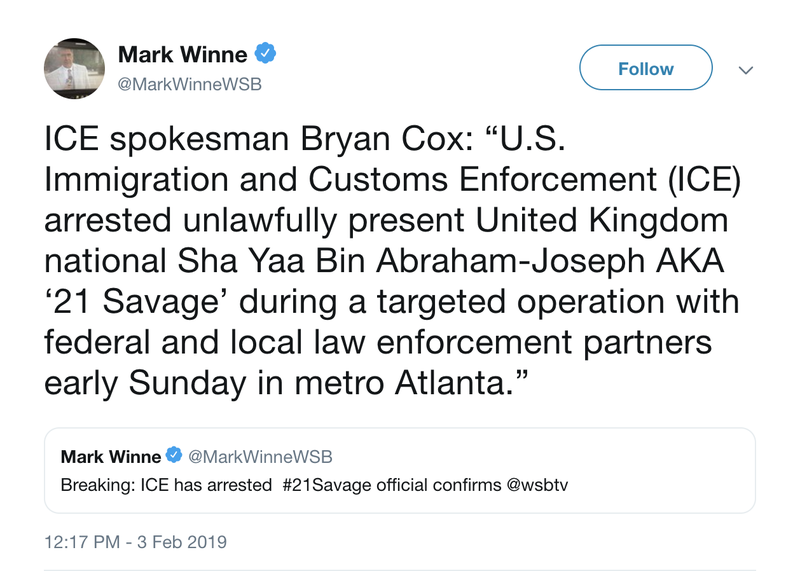 In addition to being in violation of federal immigration law, Mr. Abraham-Joseph was convicted on felony drug charges in October 2014 in Fulton County, Georgia. 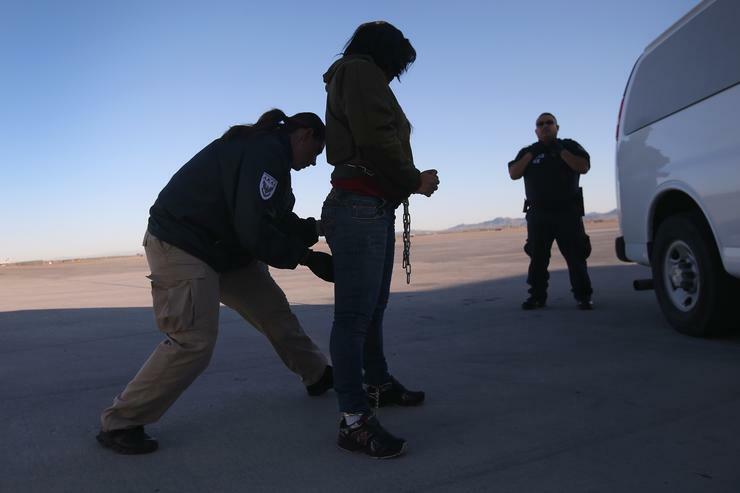 The rapper has been placed in “removal proceedings before the federal immigration courts. ICE will now await the outcome of his case before a federal immigration judge to determine future actions. It was particularly strange that the arrest occurred hours before the Super Bowl, which is being hosted in Atlanta, and only days after the rapper performed there at the Bud Light Super Bowl Music Fest.